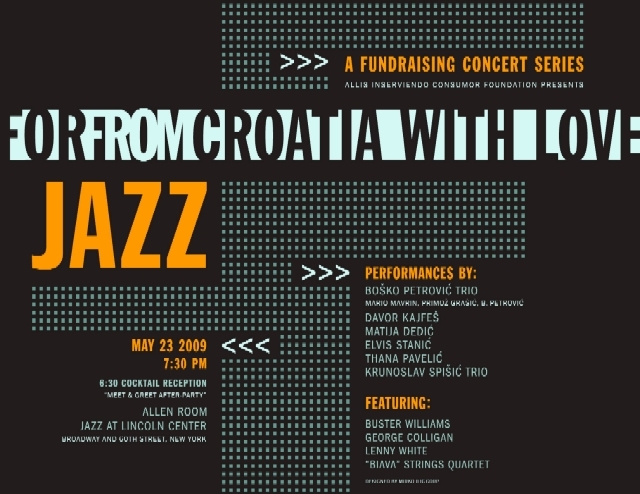 New York, April 17, 2009 – The Aliis Inserviendo Consumor Foundation is launching a fundraising concert series “FORFROMCROATIA WITH LOVE” which promotes Croatian culture, art and heritage in the United States. All proceeds will be used to aid the rebuilding of a Community center for adults with autistic disorder in Croatia. Currently 8,000 people have been diagnosed with autism in Croatia and the number of cases is estimated to be much higher. 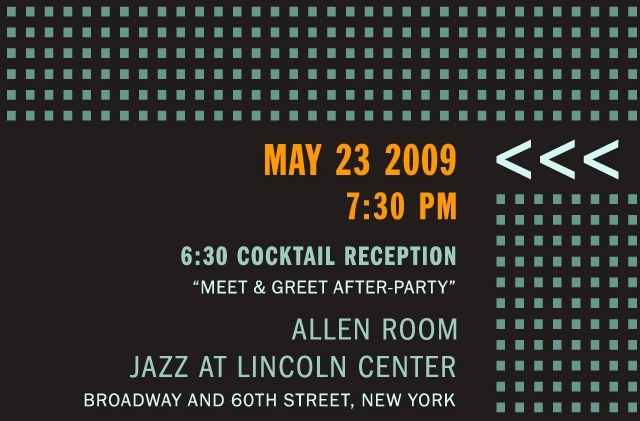 First concert in series will be a Jazz Gala held in Allen Room at the Jazz At Lincoln Center in New York City, located on 60th Street and Broadway on May 23, 2009 at 6:30 p.m. Performances start at 7:30 p.m. followed by a cocktail reception. 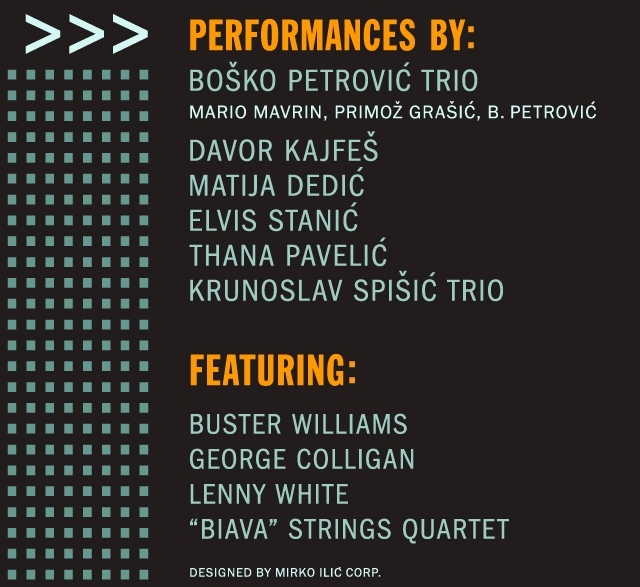 Core of the event will be a exclusive performance of “One Day In Dubrovnik” written by late John Lewis (Modern Jazz Quartet) performed by Bosko Petrovic Trio and Davor Kajfes with guest appearances by world renown musicians from USA: Lenny White, Buster Williams, George Colligan and Biava string quartet. The night will continue with the performances by the young, already internationally recognized Croatian musicians: Matija Dedic, Elvis Stanic, Kruno Spisic and Thana Pavelic. The Aliis Inserviendo Consumor Foundation supports programs offered in healthcare, education and social services around the world, particularly in those countries with limited institutional and financial resources. AIC takes its name from the Latin phrase “Aliis Inserviendo Consumor” which means “consumed in service of others”. For additional information, visit http://www.afoundation.org. If you would like more information about Aliis Inserviendo Consumor Foundation, please contact Gordana Cacinovic at 914-707-9100 or e-mail info@afoundation.org.